Myntra has crossed US $1 billion run rate in annualised GMV post discounts in July 2016. This is the first time ever that an Indian fashion brand has recorded US $1 billion run rate in annualised average GMV, claims company. Sales volumes for the month were propelled by growth of Myntra Fashion Brands, increased contribution of international brands, high growth in sportswear and womenswear category and a hugely successful End of Reason sale. This betters the January 2016 performance when Myntra had clocked $800 million in annualised GMV. 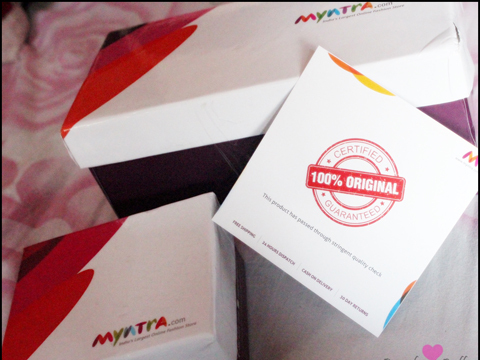 Myntra has continued to strengthen key strategies that helped the company clock a growth of 70 per cent YoY in the first four months of the fiscal year. These include a focus on a brand mix that appealed to the price conscious as well as the fashion and brand conscious. According to Ananth Narayanan, CEO, Myntra, "We have now surpassed our January benchmark to make July 2016 the biggest month ever for Myntra. The annualised GMV run rate of US $1 billion puts us on the path to touching the US $1 billion GMV mark in a fiscal year. In the past month, we have taken some market transforming steps. Our focus is to continue to transform fashion and lifestyle in India through technology." Myntra's acquisition of Jabong from Global Fashion Group has led to the creation of India's biggest fashion shopping destination. The acquisition of Jabong further strengthens Flipkart Group's position as the undisputed leader in the Fashion and Lifestyle segment in India.